Exclusively for Enomaq, CDR will be presenting the new panel for the management of polyphenols during the winemaking process available on the CDR WineLab® analysis system. How best to control the extraction of polyphenols during alcoholic fermentation? How best to manage and evaluate the efficiency of maceration? How best to control the evolution of polyphenols during the micro-oxygenation phase? These analyses can be carried out easily and quickly by the winemaker directly in the winery without the need for personnel who are specialised in laboratory techniques. The new software available on CDR WineLab® allows the management of a bar code reader. The results of the analyses performed are thus associated with a specific sample and can be sent to the company management system. CDR WineLab® can be interfaced with the MoxEasy software to which it sends directly (via Ethernet connection) the data required for determination of the correct oxygen dose. 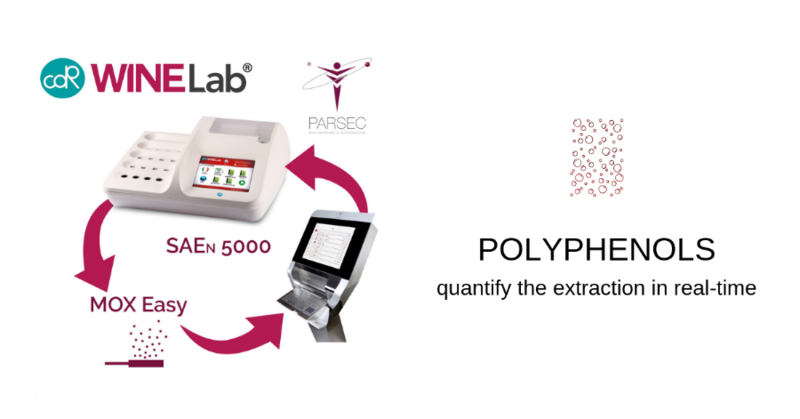 The interface with the SAEn 5000 system, always with Parsec, also manages, in addition to the micro-oxygenation phase, the process of polyphenolic extraction during alcoholic fermentation. 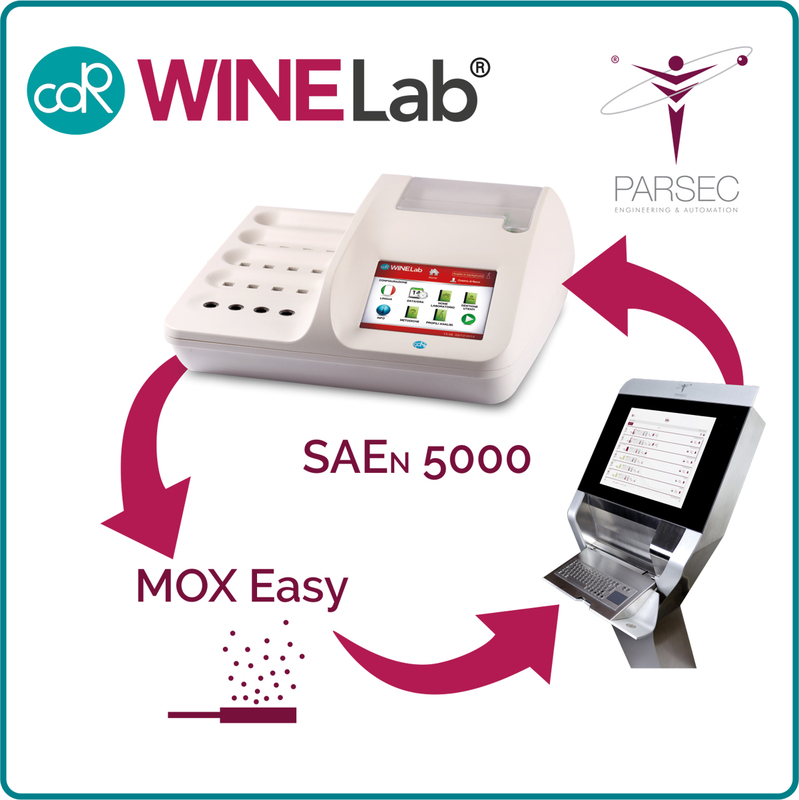 This system, obtained by linking CDR WineLab®, MoxEasy and SAEn 5000, allows a winery to characterise in detail the polyphenolic profile of its wines. In this way, the sensorial analysis is combined with the determination of objective analytical parameters that will help the winemaker to improve the quality and the organoleptic characteristics of their wine!